Late on Tuesday evening, June 16, Golden State Warriors basketball coach Steve Kerr was handed the Larry O’Brien trophy for leading his team to the NBA championship. It was Kerr’s first year as a head coach. 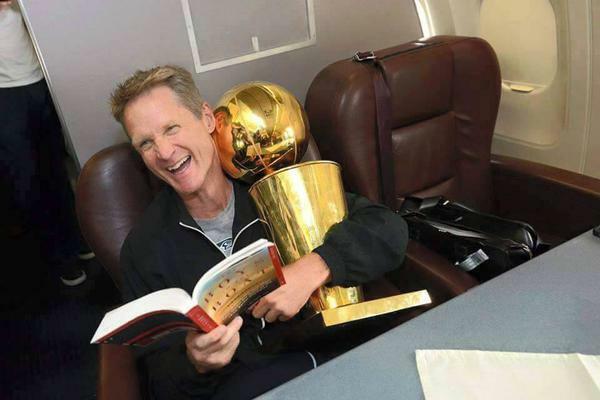 When Kerr was asked to interview with Golden State, he took his Word file and turned it into a PowerPoint presentation, outlining his philosophy and strategy to the Warriors’ brass. He got the job and a year later brought Golden State its first championship since 1975. If you want a particular job or role, start preparing now. Whether you’re a student or a seasoned leader, write everything down. Learn from those around you. Pick their brains. Observe what works and what doesn’t. Develop your ministry and leadership philosophies. Keep a collection of notes ranging from broad philosophy to your thoughts on how to run a meeting or how exactly you’ll continue to nurture your personal health. When the time comes, you’ll be ready to hit the ground running and put your learning into action.